Are there actually people out there who want to pay or homeschooling items? Why? There are so many homeschooling freebies that you can get for free. Homeschooling shouldn’t cost you money, especially if you know all the shortcuts to the free stuff. Spend your money on a field trip and doing fun things with your kids. Here is the portal to all of the homeschooling freebies. Let's start with the obvious, Amazon. They over so many free Kindle Books every day make sure you are taking advantage of them. You can get Amazon Prime for 30 Days to take advantage of this but with how much I use Amazon for videos and book in homeschool I pay for it because I save way for then I spend! Here on The Frugal Navy Wife, we offer many free printables in our store. Make sure to grab them too! How cool is this? You can actually get access to kindergarten through twelfth grade for free thanks to one generous woman. A lot of people pay for curriculum when honestly, they have this free homeschool curriculum sitting right here. It’s called Easy Peasy, maybe you have heard of it before? Go ahead and check it out! A few more worth checking out! Ambleside Online – If you are a fan of the Charlotte Mason curriculum this is the one for you. They have PreK – 12th grade. Mater Amabilis – Again if you are Charlotte Mason fan you will like this one, though this one is Catholic Based. The Puritans Home School – Want a more general biblical homeschool? This one uses Westminster Standards and the Three Forms of Unity. Documents are in pdf format, K-12th grade. Old Fashioned Homeschool – This one has 40-week schedules and uses mainly free resources with textbooks and Living Books, K-12th. It's a throwback to the way school was done a long time ago. Khan Academy– We love Khan. They have over 4600 online videos teaching all subjects. Many public school teachers use these videos in their lesson plans. Core Knowledge – If you want something that keeps to Common Core Standards this one is for you. They have a PreK-6th grade. Hippo Campus – Many love this site because there are over 6800 free videos in 13 different subject areas. They start about 6th grade and go all the way to college level. SAS Curriculum Pathways – They have interactive programs in the core subjects and Spanish lessons as well. Moby Max – We use Moby Max on the kid's tablets. The program adjusts based on how your child is learning and what they need to cover or cover. The Homeschool Buyers Co-Op has a huge list of places that offer free units and printables. places like Museums and even colleges that offer classes. Related: How I get $3,600+ in Free Homeschool Curriculum Every Year! While these are completely free they are programs we love and you can get a free trial! ABC Mouse – They have full curriculum starting with Tot school for ages 2-3 all the way up to second grade. They are always adding more too! Reading Eggs – This one gives a 2-week free trial. They are designed for kids ages 2-13 and have reading games and activities. Monarch – You can use them for 3rd grade – 12th grade and they have lots of extras you can in. You can get a free 30-day trial and Money Saving Mom has the details. Educents – Think of this site as the Groupon for homeschool items. They offer many free printables, and programs each month. 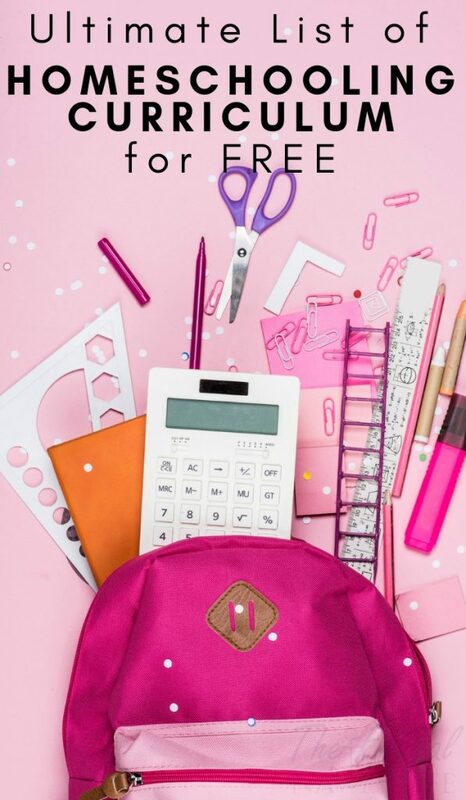 Currclick – They have many paid printables and curriculums but they have many freebies and several weekly freebies that change. Grab them when you see them! 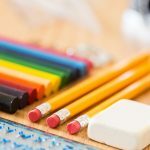 YES, there is a website dedicated to helping you homeschool and there are all kinds of freebies on it. When you head to this website, you are literally getting access to several resources, not just one. We’re talking free planners, free writing assignments, free courses, free trials, and more! Make sure you check out Homeschool.com. If your kid into science, you’re going to love the free Webinars that NASA gives out. View the upcoming webinars and pick one out. See if it’s your cup of tea and what your kids can learn for free. Teaching your kids how to preserve energy can be hard, which is why the Switch Energy Project comes in handy. There is the opportunity to view free DVDs and even stream and download resources. Energy articles, tips, and guides available for free! They Call Me Blessed has a TON of freebies for homeschoolers. Make sure you check it out. I love watching this site whenever a freebie pops up, especially the limited time freebies she posts about it. This mom dedicates her website to helping people like you and I get homeschool freebies. Take the time to check it out. I could list all the free educational websites out there, but guess what? Someone else has already done it. This list of free educational websites is a must. Fun and free educational websites are always best! Not all homeschoolers are little. For the bigger homeschoolers, you need learning websites that are sufficient for older kids! Check out these free learning websites. There are so many free educational apps. Look in your app store under games than educational. There are hundreds to try out. Here are a few of our families favorites! Brainscape – Set up like a flash card session this is a great way to learn your stuff. Geogebra – Learning and exploring math in 3D. DuoLingo – This is a free app that allows you to learn different languages! Moose Math by Duck Duck Moose – My son struggled in math so we tried quite a few out and he really liked this one. Do you know of any homeschooling freebies or free homeschool curriculum not listed above? Let us know in the comments and I will add it!